Greenway Industries can fulfill any of your commercial snow plowing. Our plowing fleet is equipped with V-plows, sanders, and snow blowers that are ready to tackle storms of all sizes. Should your parking lot require snow removal, Greenway has the ability to supply backhoes, skid steers and loaders on site. We understand the importance of keeping the parking lots throughout Danbury as clean and free of snow as possible. Keeping your commercial property free from snow and ice is essential to the success of your business. Sidewalks and parking lots that haven’t been properly plowed are unsafe for both your employees and customers. 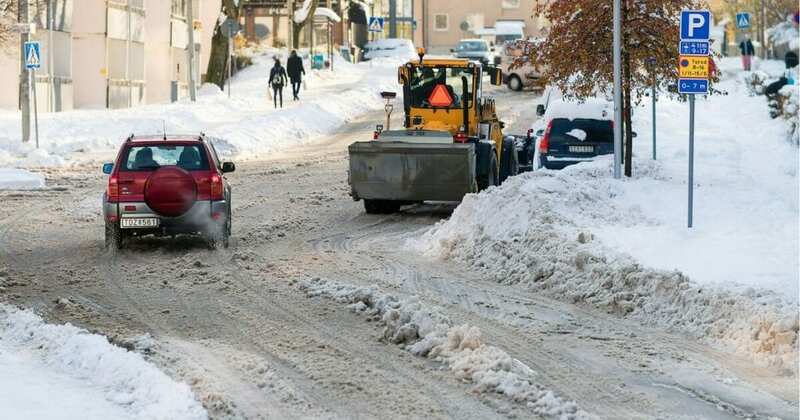 Not only could this create a situation where you receive less business, you might also be liable for any accidents that occur due to poorly plowed areas. Safety of our clients employees and customers is paramount and we ensure that all efforts will be made to make your parking lot as safe as possible throughout the winter months. When contacted for snow removal, we will meet with you to make a strategy on where the snow will be relocated to. Once the plan is established, you will receive a detailed estimate on the costs associated with plowing throughout the winter. By providing you with an estimate before we begin any work, you’ll be able to consider your options and choose the one that you feel best fits your needs. Properly removing snow from your parking lot will protect from low plows ripping into the asphalt. Snow and ice cause asphalt to crack. It is our goal to prevent this from happening in properties throughout Danbury. If your commercial property requires emergency plowing or you would simply like to contact us to inquire about the plowing services we provide, feel free to call us at anytime.